It’s been a while since I posted regarding folk’s medical advice. However I have noticed in my blog stats that these topics get consistent hits on a daily basis. So here’s another one for the series. 1. Huwag hawakan ang paru-paru, baka ka mabulag. Don’t touch a butterfly, it can cause blindness. I was told this advice when I was a child. Perhaps you have heard this too. But it is not true. 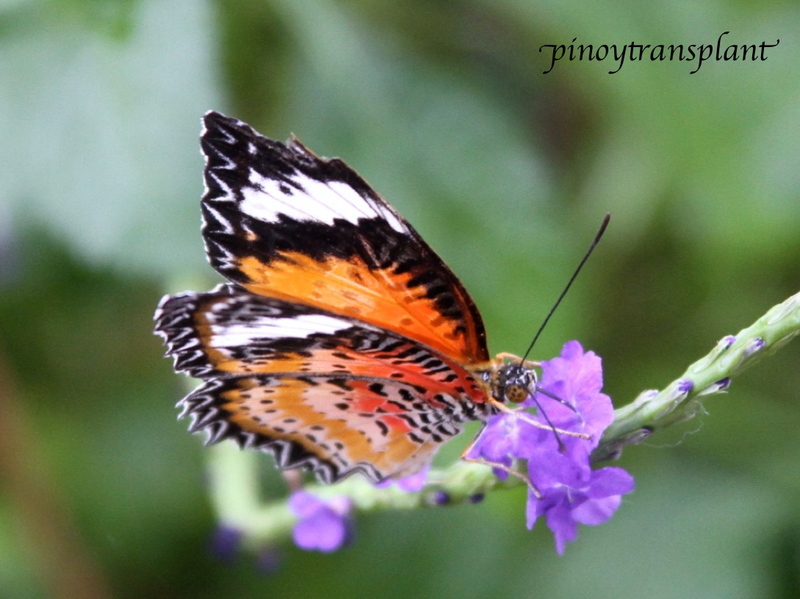 Butterflies belong to a family of insects called Lepidoptera, which means scale wings. The “powder” that you get in your fingers, which the old folks say can cause blindness, when you touch the butterfly wings, are tiny scales. These scales though very important to the butterfly, does not cause blindness. If so much of these tiny scales are removed from the butterfly wings, just like when you heavily rub them off, will form holes in their wings and they will lose their ability to fly. So you can hurt them, but they don’t hurt you. Perhaps the old and wiser folks just don’t want us kids to hold the butterfly so not to injure them. The only “butterflies” I know that can cause blindness are the ones dancing in beer gardens, especially under the dazzling flickering lights and after rounds of beer. 2. Huwag kumain ng maanghang na pagkain, baka ka magkaalmuranas. Don’t eat spicy food, for you will develop hemorrhoids. Filipino foods are not particularly spicy. Except for the Bicol region perhaps. Unlike other cultures, like Indian or Indonesian cuisines, even their baby food can make a grown man sweat. I heard many times before though, that spicy foods can cause bothersome hemorrhoids. If this is true, then all true blue Bicolanos will be suffering from this, and Bicolandia will be the center of hemorrhoids country. But that’s not the case. I think this advice associate the fiery sensation in our lips and tongue will somehow cause also a fiery sensation in our bottom. Simply, not true. There are several scientific and medical studies that have looked into this perceived relationship, and no study have conclusively proven this. In one particular study done by Italian researchers, they have 50 patients with severe symptomatic hemorrhoids randomly take a capsule containing red-hot chili powder or a placebo pill, and then they crossover after a week. The results showed no statistically significant worsening in their symptoms. So they concluded that red-hot chili pepper does not worsen hemorrhoids. So go ahead, enjoy your jalapeños and your siling labuyo. It will zing your mouth, not your bottom. 3. Huwag pagalaw ang kanser, ito ay lalo lang kakalat. Don’t disturb the cancer, it will spread. Meaning, don’t have a tumor biopsied or do surgery on it, for it will get worse. Bawal mahanginan, baka magalit (Don’t expose it to air, it will grow angrier). This notion is deeply seated in the people’s mind. But there’s no medical truth on this. 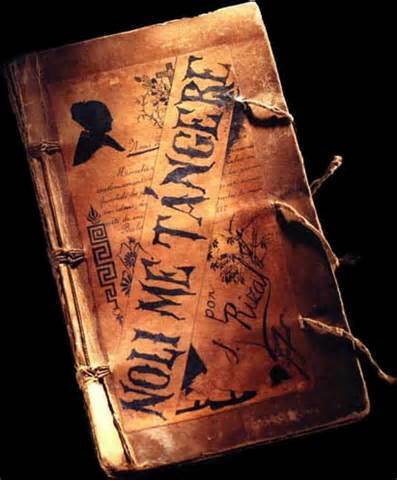 Perhaps we Filipinos get this conception, when in Jose Rizal’s 19th century novel Noli Me Tangere (Touch Me Not – in Latin), he addressed the ills of the society as “social cancer.” Don’t dare touch it, for the situation just gets worse. With 21st century’s scientific knowledge and technology, the fact of the matter is doing biopsy on a tumor is the only way we can ascertain that it is cancer or not. And there are several kinds of cancer, that the preferred treatment is surgical excision. And sometimes if it is too big to take it all out, debulking the tumor can help. Only if the cancer is far too advanced that any form of treatment may be futile. I’m sure if you have cancer, and Jose Rizal who is a physician himself, is alive today, he will advise you, Ego Tangeret (I touch you). 4. Huwag matulog ng sobrang busog, baka ikaw ay mabangungut. Don’t sleep when you’re so full, you’ll have nightmares. There’s currently a lot of medical evidences that eating a full meal so close to bedtime may disrupt your sleep. Digestion can increase your metabolic rate and body temperature, as well as release of certain hormones, that can throw off the internal stimulus of inducing sleep. Thus many medical experts advice that your dinner be two hours or more, before your bedtime. Though it is still uncertain whether sleeping on a full stomach can directly cause nightmares. The more enigmatic topic though is bangungut as a specific entity that cause sudden death at night. 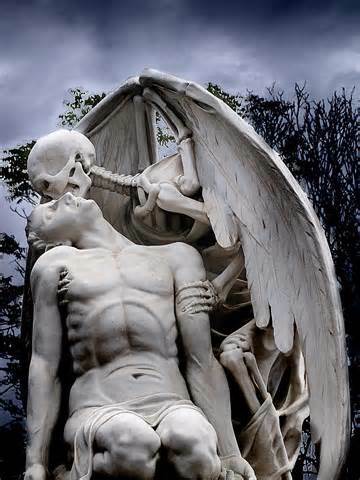 It is not an urban legend but rather a real medical condition also known as Sudden Unexplained Nocturnal Death Syndrome (SUNDS). SUNDS has been reported worldwide, though it is more common among Southeast Asian males. It is termed bangungut in Philippines, lai tai in Thailand, and pokkuri in Japan. In recent years SUNDS is thought to be related to Brugada syndrome, a genetic disorder wherein there’s inherent faulty electrical conduction in the heart that can lead to fatal cardiac arrhythmia. This usually occurs when they are sleeping or resting, in these apparently healthy young males. It has been suggested that a high carbohydrate meal may precipitate sudden cardiac death in these predisposed individuals, as the release of insulin drive their potassium down causing the arrhythmia. So I would say there is some wisdom to this old folks’ advice. And you thought they were all non-sense? But then again you probably thought as well, that bangungut was caused by a kiss of an evil spirit. 1. I though this one is true? Lol. 2. When I do eat spicy foods, most of the time it does the ‘damage’. Hmm. Sorry for the ‘damage.’ No Bicol Express for you then.